Air conditioned Dorms and requisite furniture i.e. separate beds, wardrobes and study tables. The disciplined and caring touch of the wardens, both male and female, guarantee that students achieve academic excellence with optimum focus. Remedial classes after regular academic hours for better educational growth are ensured. Prep classes for self-study in the evening under the guidance of school faculty ascertain close academic supervision. 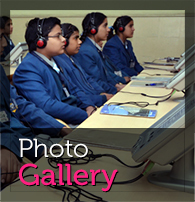 Each student's social and academic progress is carefully monitored and reported to parents. Sports form an integral part for overall development of our school dwellers.Specialised sports, both indoor and outdoor, of their interest are made available to them on regular basis. They have an access to weekend music classes under the supervision of expert school faculty to enhance their musical talent. Monthly outdoor visits, picnics and movies make them feel at home and help in breaking the monotony of regular schedule and widen their intellectual horizon. Wardens, like effective guardians regularly inspect the bedrooms and studies, and check on the student's diet, personal hygiene, skin and hair care, the availability of toiletries and the condition of clothes. Theyliaise closely with the academic staff to monitor the quality of students' prep and other academic work. Most important of all, they carry a major responsibility for the happiness and integration of students and for keeping in close touch with their parents. Strict discipline is maintained at all times with a comfortable margin of freedom necessary for young people to grow in a healthy manner. Well trained attendants in all the dorms. A PRO @ the hostel reception to guide the visitors.